March 27, 2017  Hana Elion and JJ Mitchell's vibrant vocal harmonies are set against an electronic backdrop that feels spacious and refreshing. 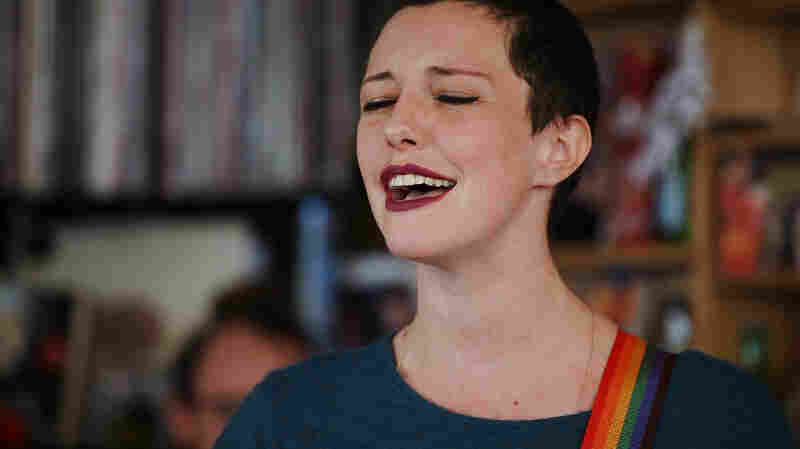 March 24, 2017  This fierce and lyrical guitar player writes playful instrumental music led by hooky vocals — but there is no voice, just the human-like twang of a glass slide on a guitar. 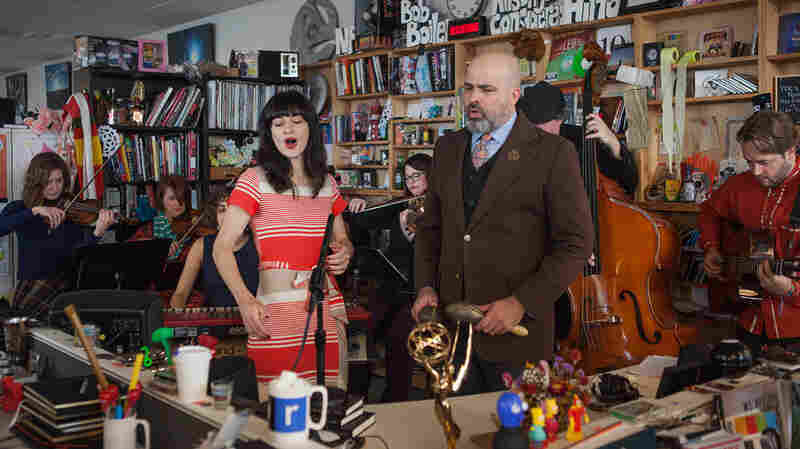 March 21, 2017  A Tiny Desk Concert as intimate as it gets (that's saying something). 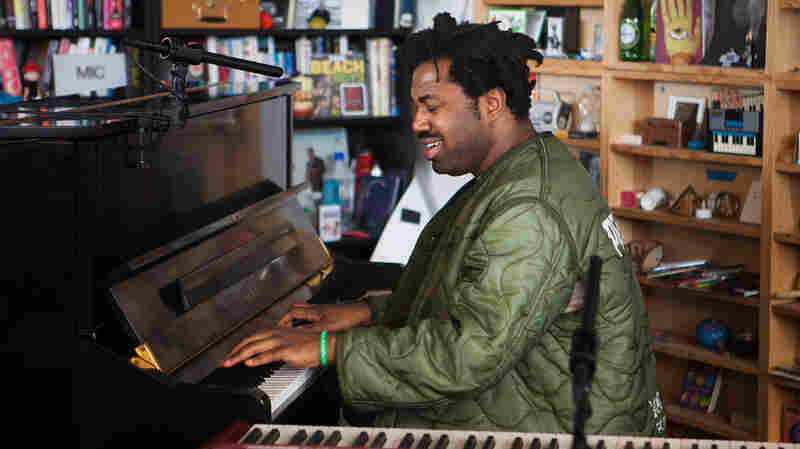 Just Sampha, a piano and three heart-wrenching songs that seem to double as coping mechanisms. 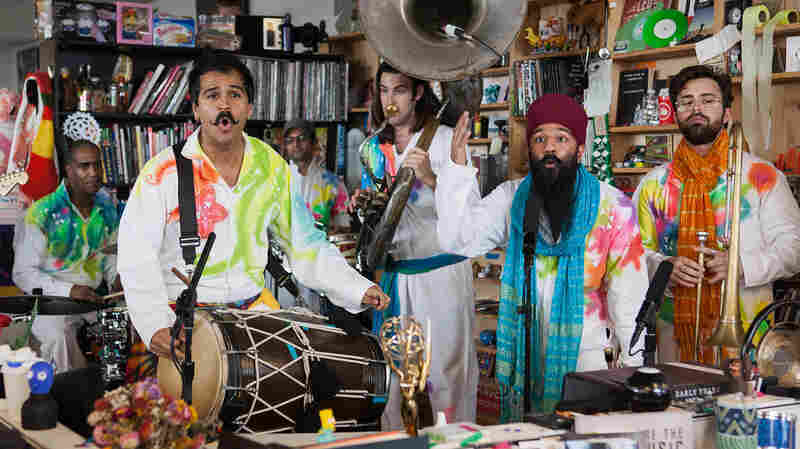 March 13, 2017  The Brooklyn bhangra band come to the Tiny Desk in celebration of Holi, the Hindu festival of color that welcomes the coming of spring. 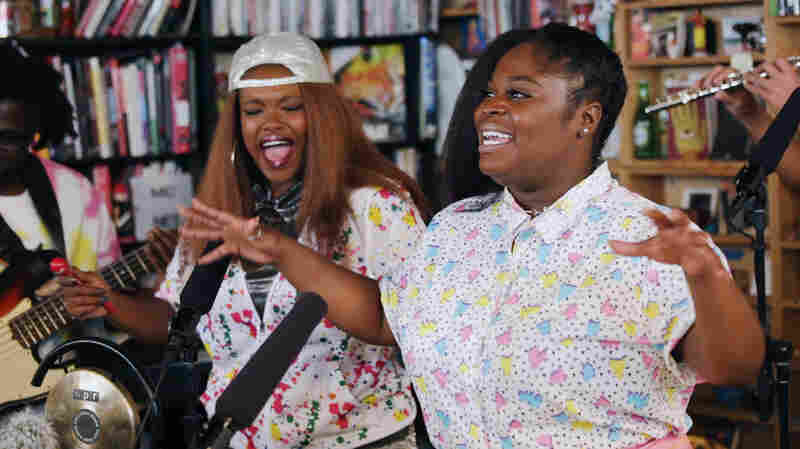 March 10, 2017  Tank And The Bangas' victory lap around the Tiny Desk was momentous, celebratory and deeply touching, with a flair and alchemy of styles that could come from New Orleans. 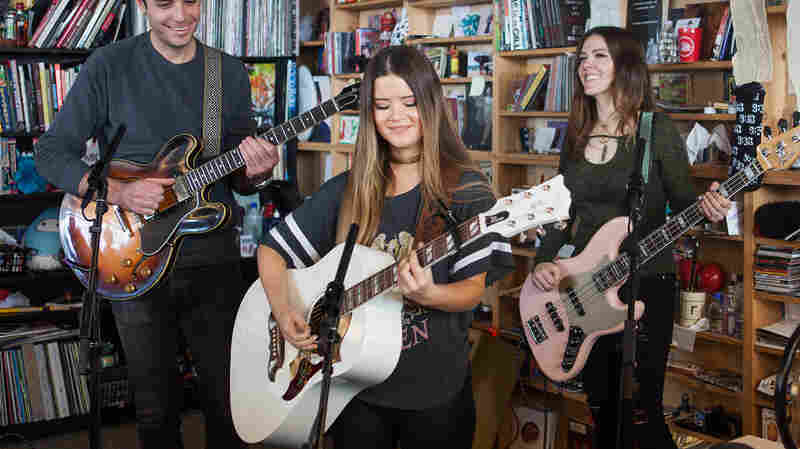 March 6, 2017  One of the newest Grammy winners stops by the Tiny Desk to share her winking, sometimes tongue-in-cheek songs. 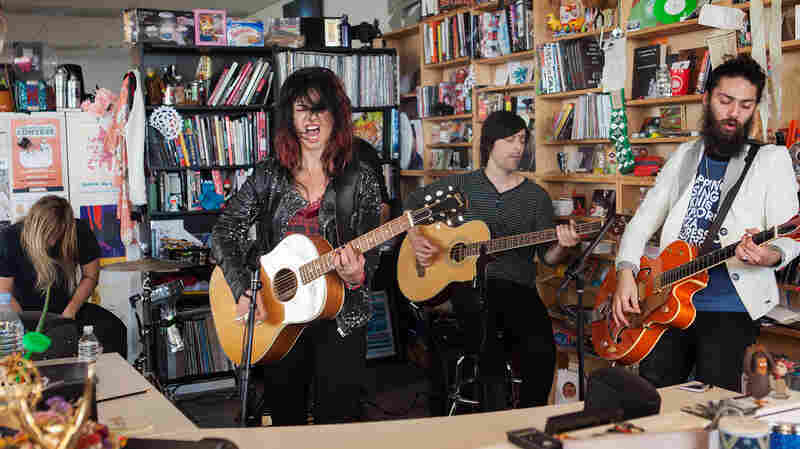 March 3, 2017  One of Israel's very popular artists may be walking a similar path to early-career Joan Jett — she brought that same intensity to the Tiny Desk. 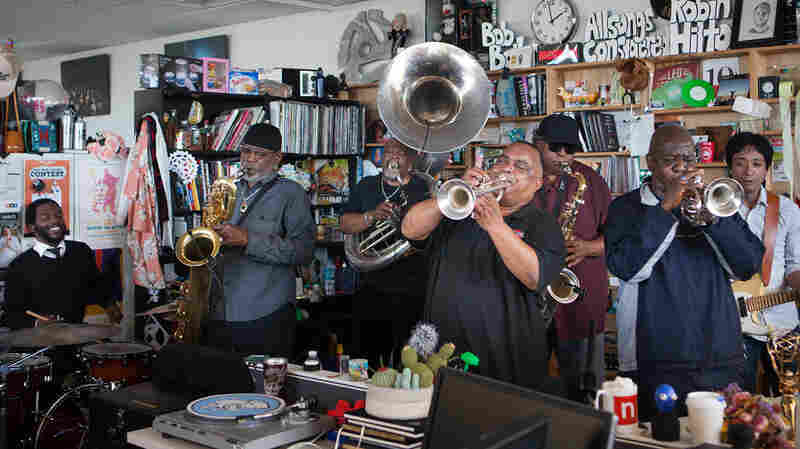 February 28, 2017  To celebrate Fat Tuesday, The Dirty Dozen Brass Band brought their euphoric horns to the Tiny Desk for a raucous, joyous set. February 21, 2017  Little Simz has been compared to Lauryn Hill for her self-reflective wordplay. 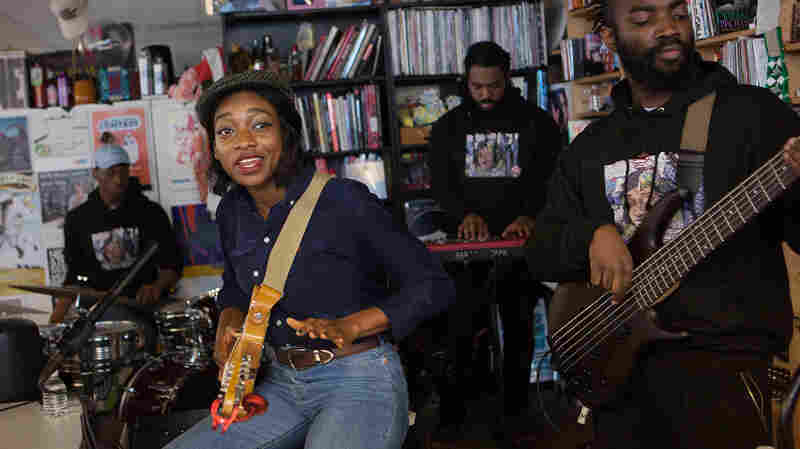 And though the British lyricist is a relative new-comer, her Tiny Desk performance was poised and confident. 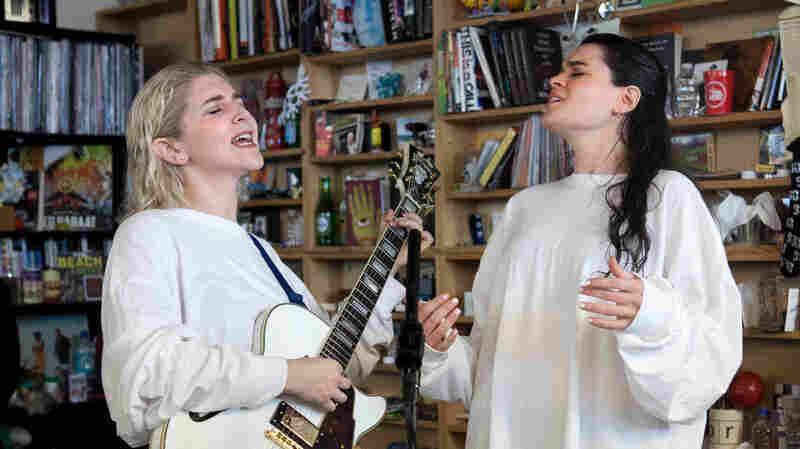 February 15, 2017  Agnes Obel manipulated the Tiny Desk to better suit the deeply alluring and powerful music she brought to us. 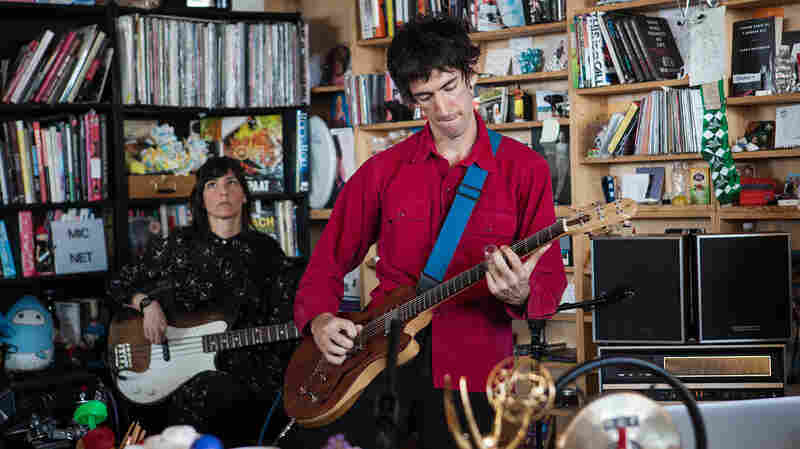 February 10, 2017  Esmé Patterson has dropped the banjos and folk from her previous project Paper Bird, and in their place are electric guitars and a backing band worth getting behind. 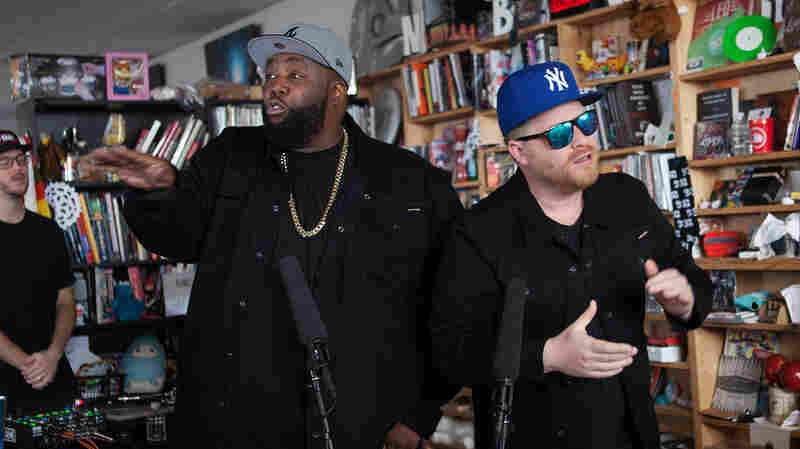 February 6, 2017  Killer Mike and El-P continue to out-muse each other in a supergroup that somehow seems to get better, louder, and more pertinent since their start in 2013. 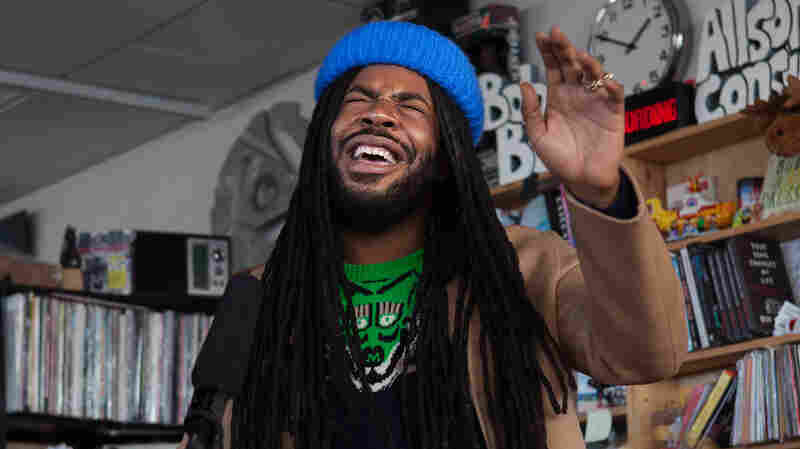 February 1, 2017  The rapper/singer storms the NPR Music offices, activating his signature smile and bouncing through five highlights from his catalog — including the smash single "Broccoli." 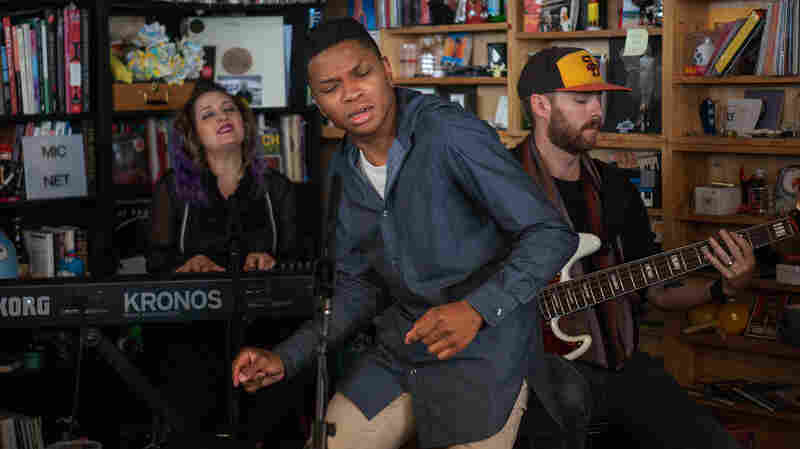 January 30, 2017  The rising R&B star performs three falsetto-drenched highlights from his 2016 debut, Ology — including "Bourbon," which features a guest rap from Chance The Rapper collaborator Saba. January 27, 2017  Watch the Virginia band sweep the NPR crowd off its feet with a collection of exquisite boleros by Puerto Rican composer Sylvia Rexach.